This will just be a quick post to announce that I will be moving from WordPress to Blogspot! The reason…. well, it is easier to customize the outlook of the site and add in plug-ins and all of that. I am just tired of looking at the black and white page that is The Pastry Dream at wordpress. I just feel it is so boring in comparison to blogspot where I get to customize and add in personal touches to the site without having to pay. 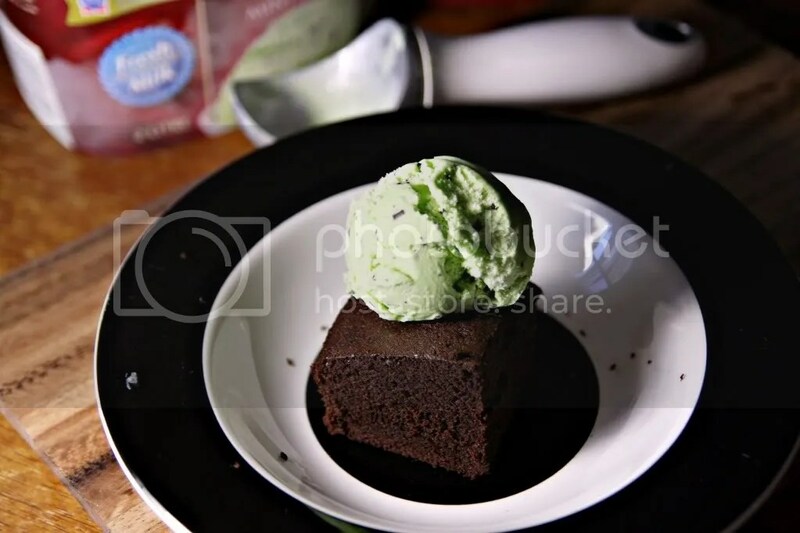 So yeah I hope you all like the new outlook of The Pastry Dream @ Blogspot! =) Please subscribe through email to get updates on my journey to ultimately open my own restaurant! Top 5 foods from Melb/Tas holiday trip! Sorry that I have been absent for quite some time. Just had a very hectic weekend with my graduation from Uni and my holiday trip with my parents around Tasmania and Melbourne. I’m sorry that I don’t have a recipe to share with you all today, but what I do have is the top 5 delicious dishes that I have had during my holidays with my parents in Tasmania and Melbourne! I hope you enjoy and if you are in these areas, do visit these restaurants/cafes to give it a try. I apologize for the very bad food photography as I am still learning the art of it and to be fair the lighting wasn’t suitable at times and some of these photos are taken with my iPhone 4. Since I was going to have only a few more days left in Malaysia, I decided to attempt one of my favourite Kuih of all the time, Pulut Tai Tai. 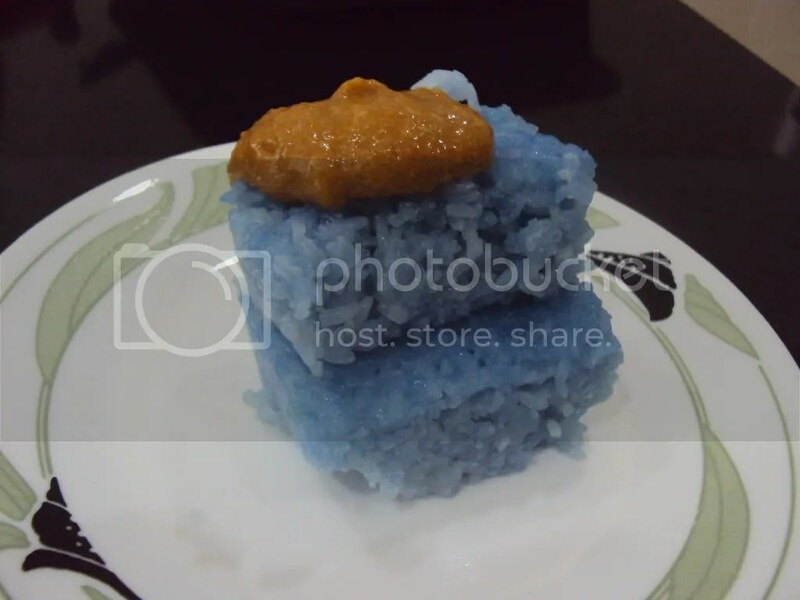 It is pretty much glutinous rice cakes that has been infused with the natural blue of the Bunga Telang and finished with a topping of Kaya/Coconut Jam. My first ever baking class was a blast, I had not idea what to expect but being able to work with Chef Danny is just fantastic. This will definitely won’t be my last baking class. I manage to get plenty great advices and ideas that will help out with my baking techniques. I just wished I could have learned bread making from him since he specializes in bread making. Overall, the 5 hour session of macaroons, Oreo cheese cakes and hot chocolate soufflé was definitely worth it! 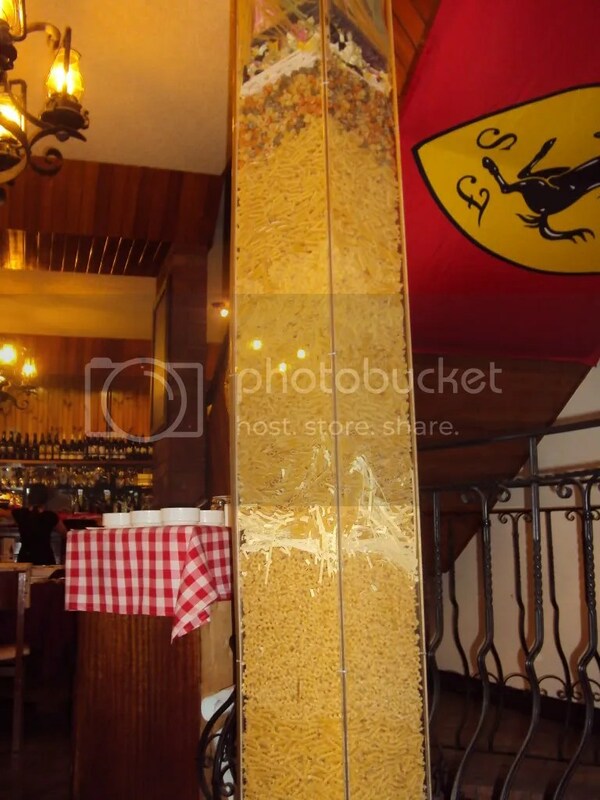 I managed to gain some theoretical knowledge and hands on experience when it came to preparing these recipes. The only thing that was a little disappointing was that we only made the macaroon from pre mix instead of doing it from scratch. But Chef Danny was kind enough to provide me with fantastic advise on how to do it from scratch and he even gave me a recipe that he personally tested! 🙂 So I will definitely attempt that recipe on my own when I feel confident enough. 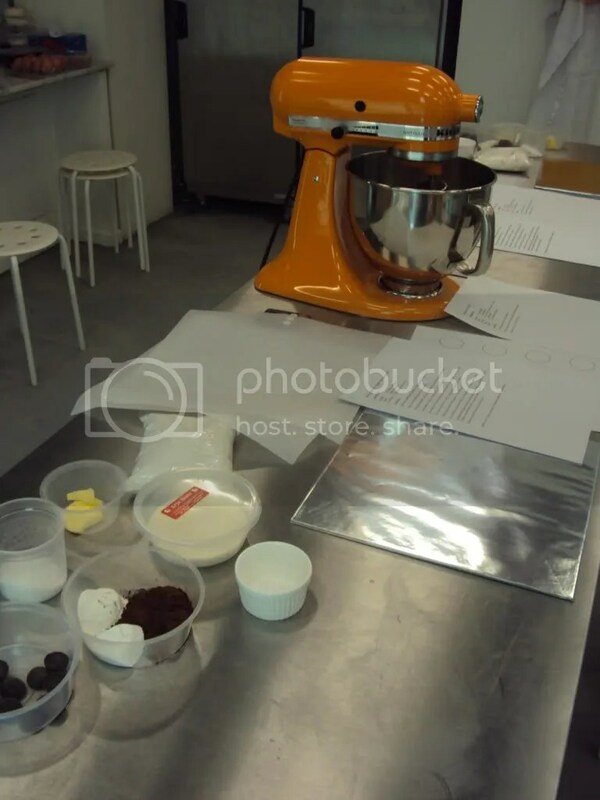 But anyway’s enough of my jibber jabber, here are some pictures to show what I done on my baking class. Enjoy! A Baking Lesson with Chef Danny! This won’t be a recipe post but an update on what’s to come. 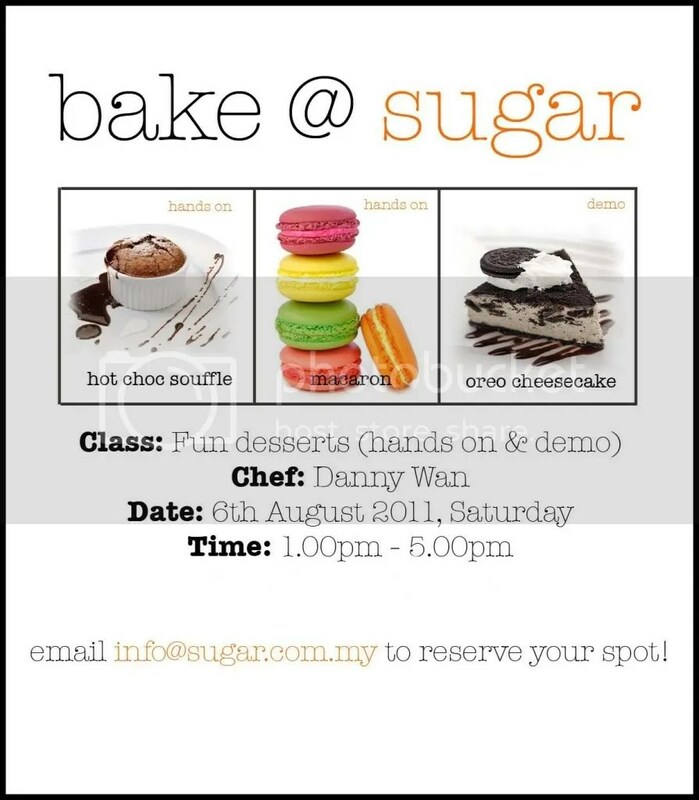 I have just signed up for a baking class with Pastry Chef Danny Wan. I haven’t heard of him before but from what I have heard from my friend, he has been a pastry chef for quite some time now with 30 years of experience. That is definitely a very respectable amount of experience and I am looking forward to this 4 hour session under Chef Danny. I got a huge treat for you all! My love for bread is one of the main reasons to why I would like to open my own bakery. Waking up to the smell of freshly baked bread is just heavenly, thanks mom for that! 🙂 But back to the topic, I will be presenting you today the most delicious load of bread covered in flavoured sugar. 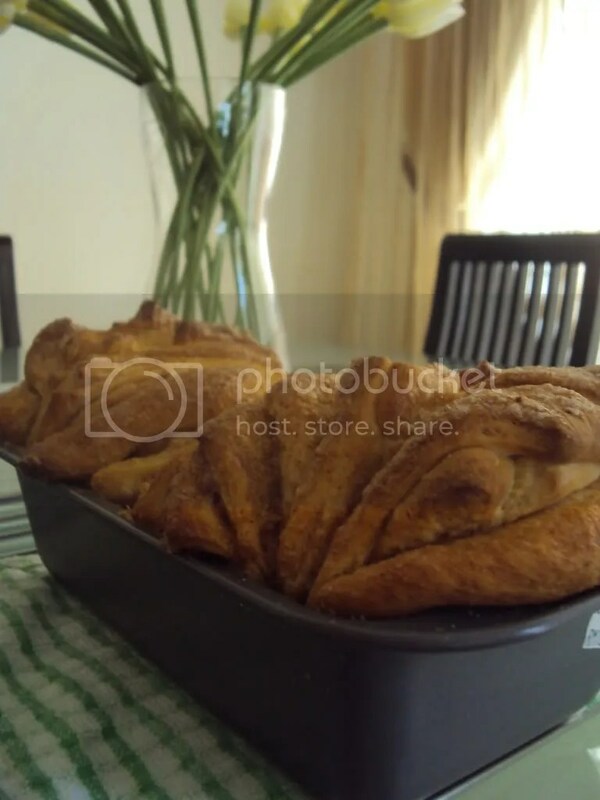 The smell of cinnamon and freshly baked bread will fill the house while it is in the oven. The temptation of just taking a bite out of it even before baking is strong but like my mom use to say, good things come to those that wait! So you will just need to be very patient as the bread proofs twice before it is ready to bake, by that time you should be eyeing the timer and wondering why does 30 minutes feels like forever! I hope I have gotten your appetite going, now lets get straight into it.